Exterior car door handles come in many different sizes, shapes, and colors. The parts of a door handle can differ greatly from vehicle to vehicle. 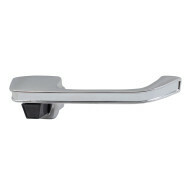 There are many different types of car door handles from chrome car door handles to black car door handles. Door handles for cars will endure a lot. In fact, they are one of the most used parts of your car! Due to this, a front door handle replacement may be necessary as the original gains wear and tear. The exterior car door handle repair cost does not need to leave you running to the bank. Our aftermarket car door handles are high quality OEM replacements at less than half the cost of OEM and the repair is often one easily done at home in your own garage. 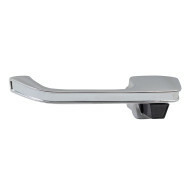 We even stock several styles of door handles for trucks not just cars! Hold on to one of our outside door handles, because these low prices are known to make knees weak. 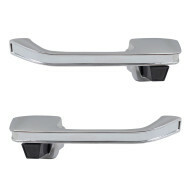 You can also trust that our car door handle parts are quality replacements you can rely on.